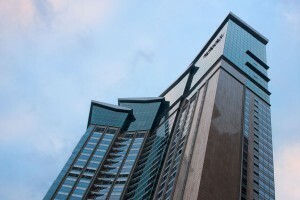 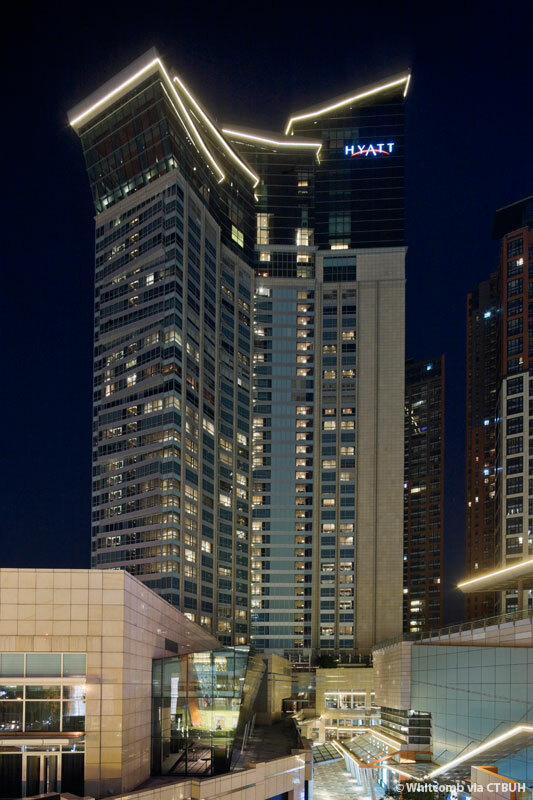 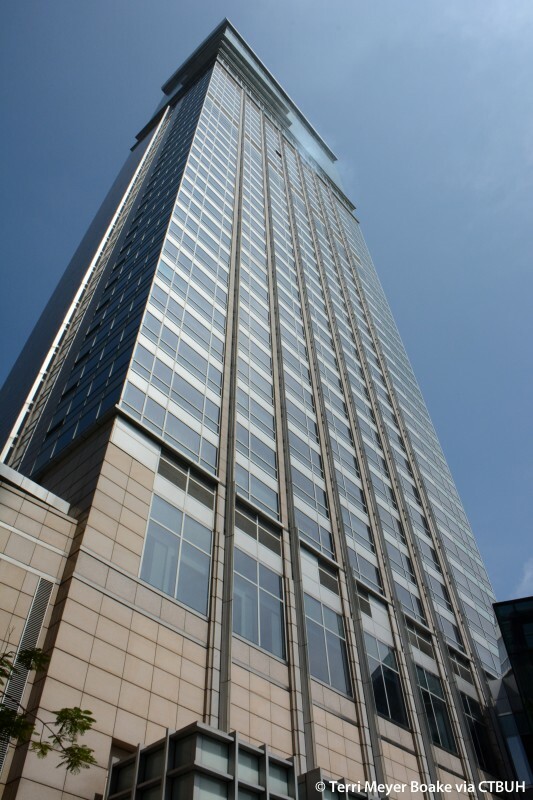 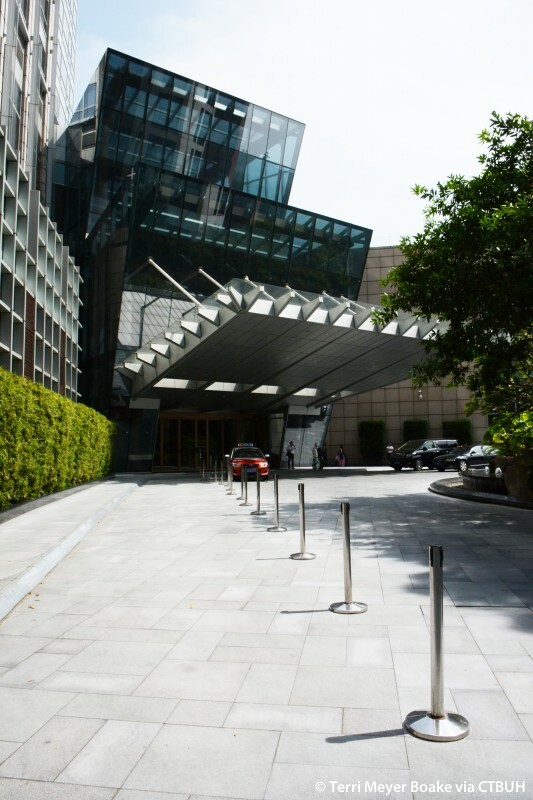 The Grand Hyatt Shenzhen is located in the Luohu District, the business and entertainment area of Shenzhen, not far from the crossing into Hong Kong. 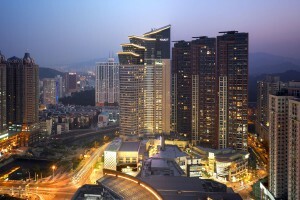 It is distinctive for its "upside down", lantern-shaped appearance and sloping roofs. 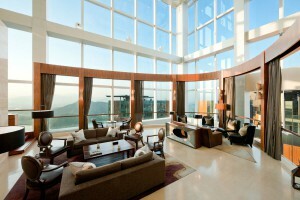 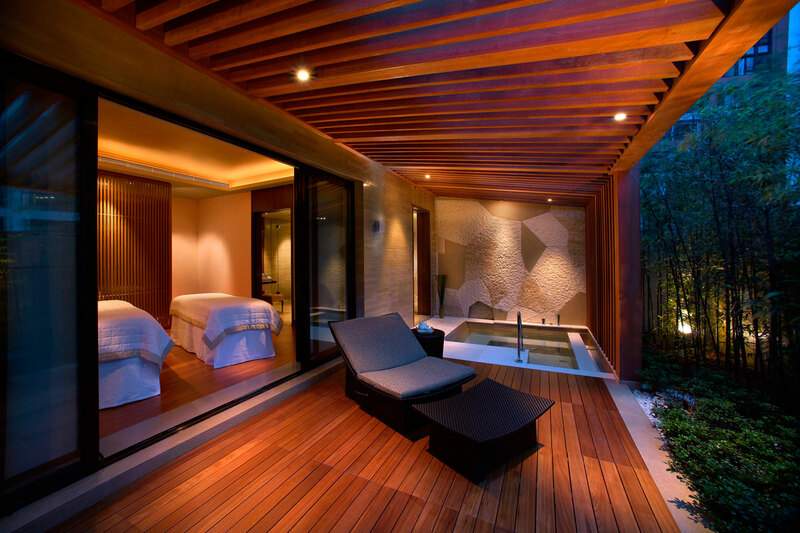 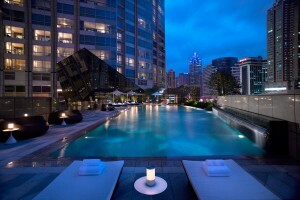 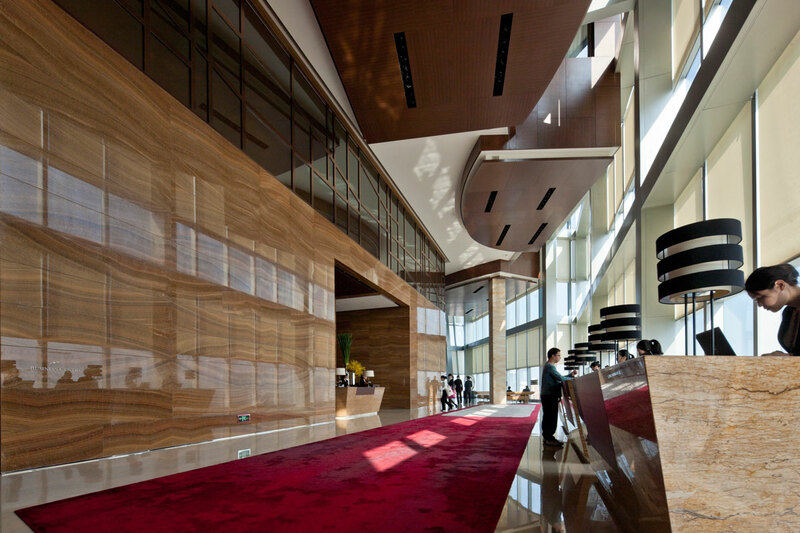 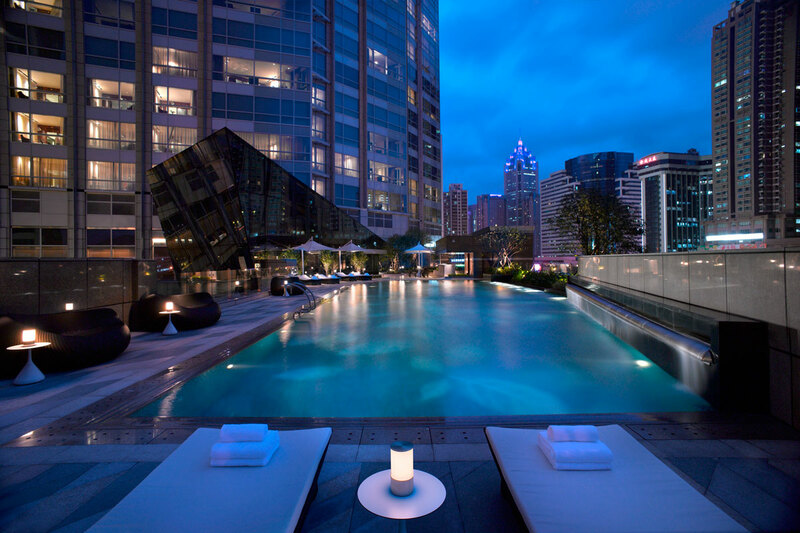 Inside, Grand Hyatt Shenzhen has two ballrooms, a spa, and eight different restaurants. 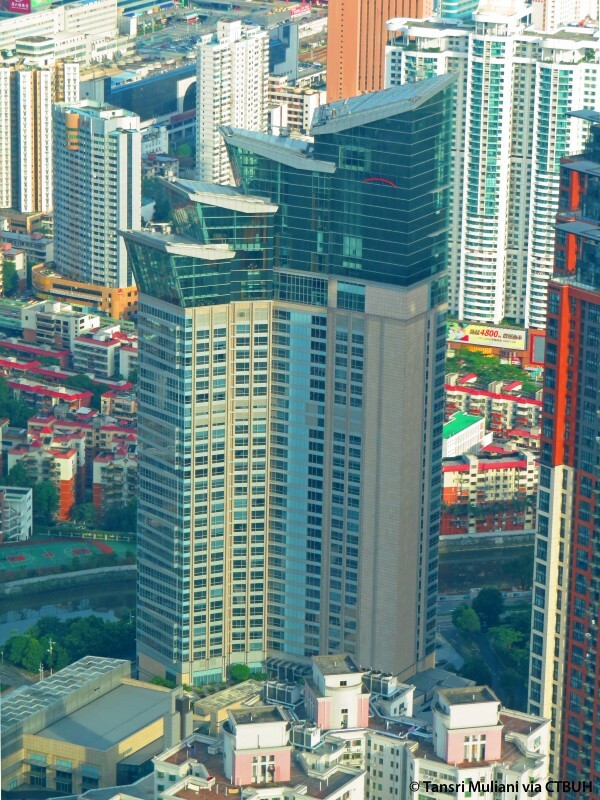 Grand Hyatt Shenzhen is a part of the City Crossing complex in Shenzhen, which includes other buildings such as a shopping center, office towers, subway train hub, and Olympic ice skating area. 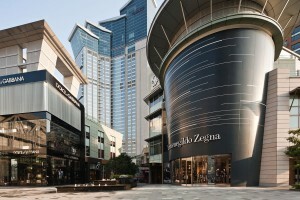 With these many amenities, this building and the complex it belongs to have changed the make up of Shenzhen's entertainment district and have influenced the city.